This new Home bottle warmer will soon become your ideal cooking companion when preparing your own baby food. Fast, safe and user-friendly, it will keep milk and/or baby food warm for up to one hour. Its special design combines style and practicality, as it comes with its own support for smaller bottles and jars. thanks to its two dedicated programs for bottles or jars. Maintains the temperature for up to 1 hour. 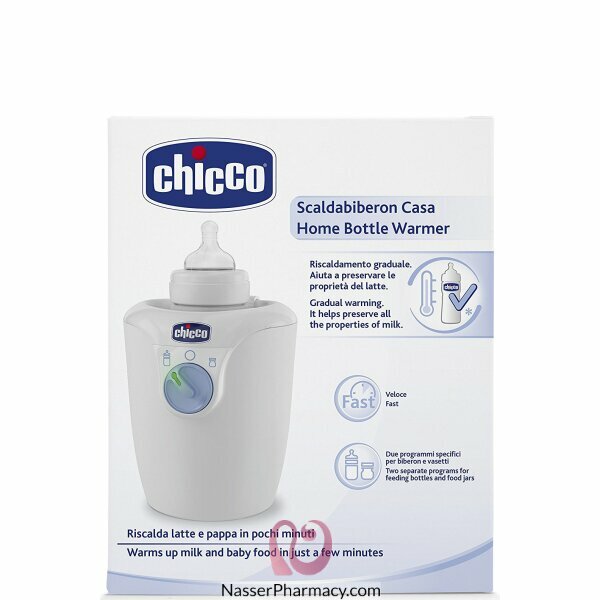 Compatible with all Chicco bottles. thanks to the automatic switch off.